Eyam: The Plague Village UFO Mystery is set exactly three hundred years after the original plague outbreak, and opens with UFOs being tracked on radar over the village. 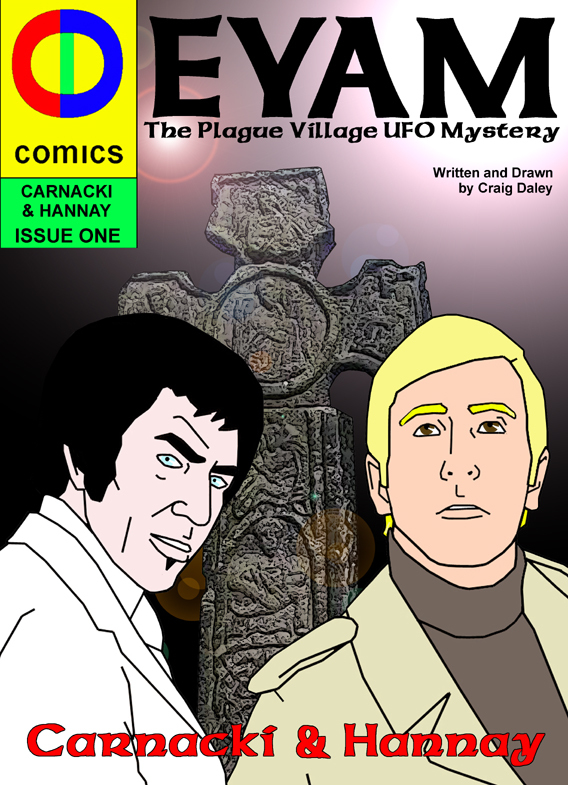 The CDrom of Eyam: The Plague Village UFO Mystery includes both JPEG and PDF formats of the 37 page full colour comic and is on sale from Monday 17th September. The CDrom is priced £2.50 and is available from Sheffield Space Center on the Wicker, Rare and Racey on Devonshire Green, Broomhill’s Galaxy 4 and Record Collector, The Funhouse, Woodseats and the Blackwells on Mappin Street.